Exporter of a wide range of products which include carbon steel pipes, carbon steel tubes, carbon steel elbows, carbon steel bars, carbon steel forged fittings and copper alloy pipes. The exclusive range of carbon steel pipe and tubes is fabricated with the help of our expertise to suit the varied requirements of the clients. These carbon steel pipe/tubes are available in different dimensions, shapes, sizes, material specifications. With the reliable and well-organized distribution network, we manufacture and export Carbon Steel Elbows across the world. Our product is noted for its stability. We manufactured using best quality materials, which are in compliance with international quality standards.We offer them at a wide range of shapes and sizes in accordance with the huge industrial requirements. 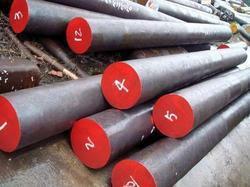 We are engaged in providing premium quality Carbon Steel Bars to our valuable clients. Our Carbon Steel Bars are manufactured from high-grade steel and technologically advanced machinery. We provide these Carbon Steel Bars at highly affordable price range to suit the pockets of our clients. 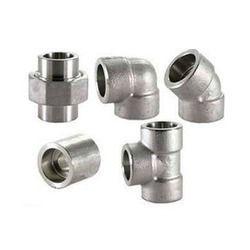 We indulge in manufacturing, trading and exporting a wide range of Carbon Steel Forged Fittings. Our product range is procured in compliance with variegated demands and needs of our client base. These products are also checked stringently by quality analysts to ensure that defect free and best quality products to our honoured clients. The exclusive range carbon steel forged fittings is available in different dimensions and alloys. We provide our precious clients a superior quality range of Copper Alloy Pipes. Offered pipes are exclusively manufactured at our vendor’s end using the best grade copper material and latest technology. These pipes are widely demanded among our clients for their simple installation and corrosion proof finish. 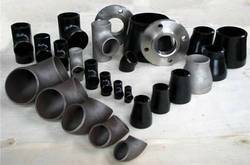 The provided pipes are available in various sizes as per the requirements of our valuable clients. Moreover, the qualities of these pipes are properly tested by our skilled quality controllers on different quality parameters. 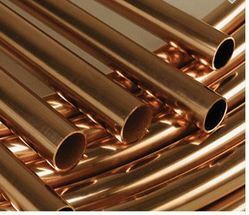 Search through our rich accumulation of Copper Alloy Tubes, which are accessible in diverse lengths, thickness, sizes and measurements to suit the needs of distinctive commercial enterprises. Accuracy designed, these tubes are of premium quality and are tough. Our Nickel Alloy Tubes consent to the different modern models. Backed by our rich industrial experience in this domain we are devoted towards offering wide gamut of Carbon Steel Round Bars. These round bars are acknowledged in the market for its sturdiness. 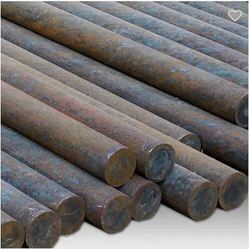 Our given round bars are manufactured utilizing high quality material and modern techniques in compliance with the set norms of industry. The offered round bars are accessible in several specifications at affordable rates to the customers.